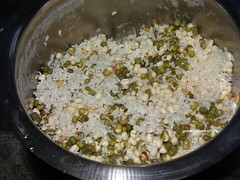 I had some Sprouted Green Gram dhal in the fridge. I wanted to try something new. 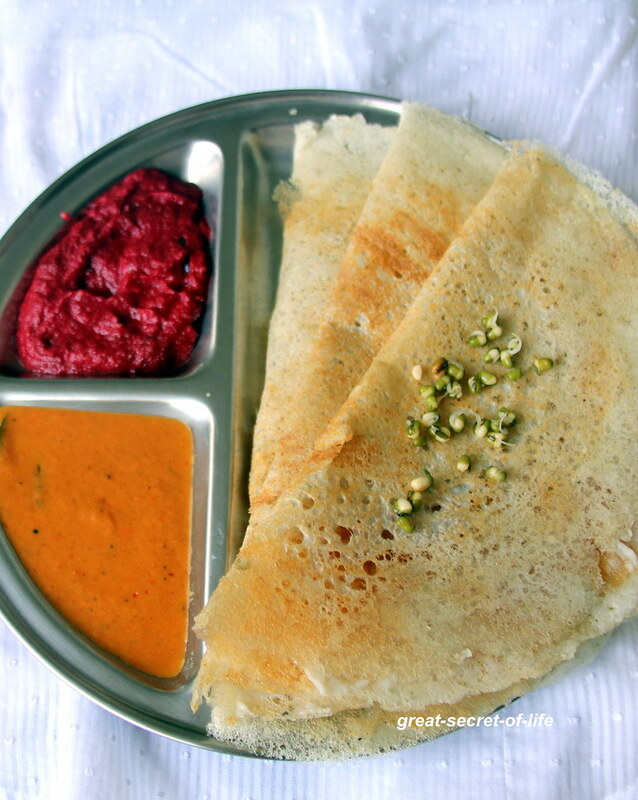 I know dosa would be good as everyone in our family love dosa. 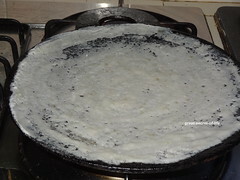 I went ahead to try Dosa with it. I am pretty sure this dish cannot go so wrong as we used to make pesaratu with green gram dhal. It doesn't require fermenting. It is very healthy too. 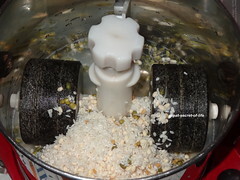 Heat the flat pan and when it is hot enough take a laddle full of dough and spread it in circular motion starting from center. Drizzle oil around it. Cook it till golden brown. When it is cooked fold it and take it out. 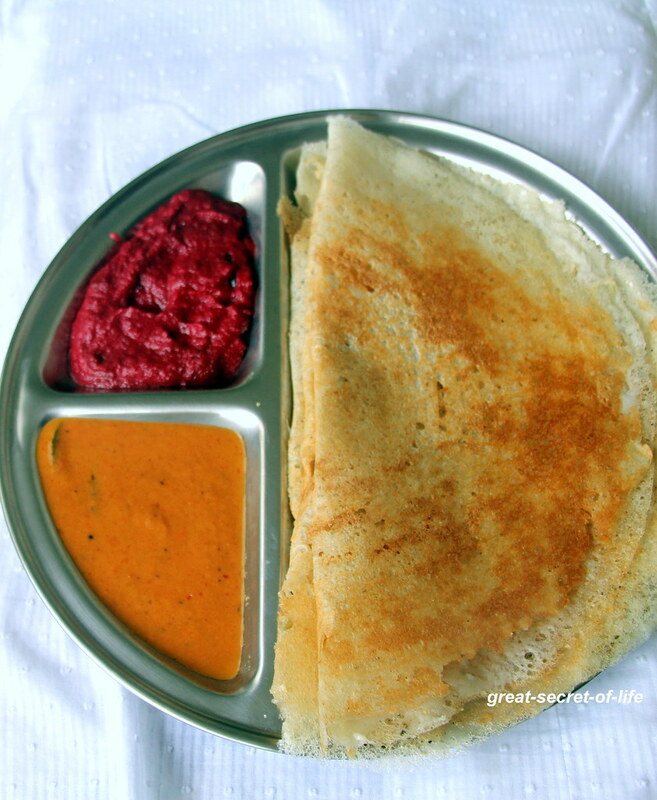 Super healthy breakfast recipe :) looks good..
Veena, u make the best dosas crispy and even colored.Using sprouted dhal is such a good idea. 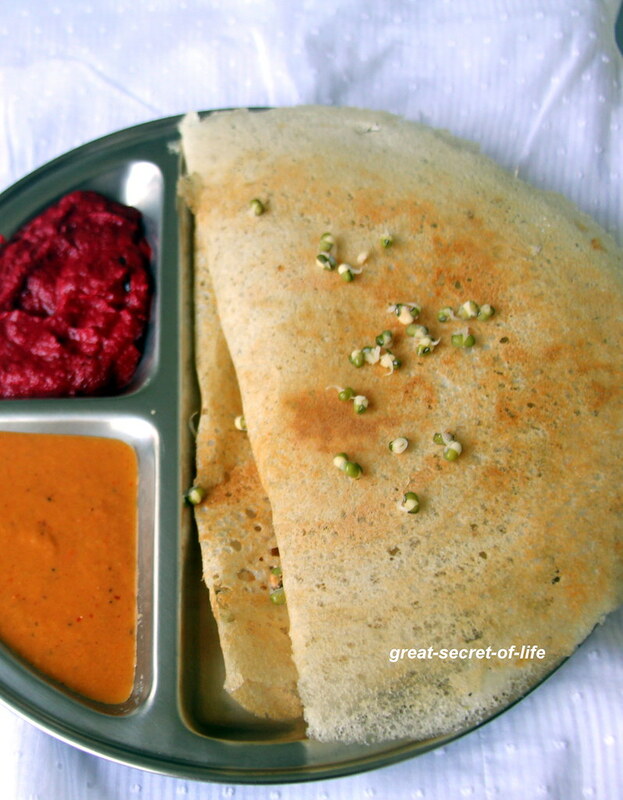 healthy dosa, perfect way to start the day! Healthy yet no compromise on taste !! 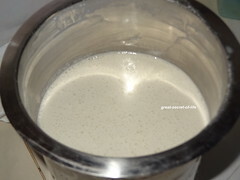 New to your blog and I m glad to have discovered your space.. Would love to connect with you. very healthy,looks perfectly crispy n yumm..feeling hungry !! 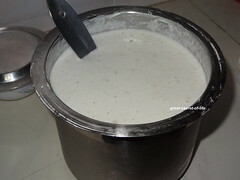 One of Our favourite breakfast..I can have it everyday without fuss. crispy n protien filled dosa! :) ideal way of feeding green gram to kids :) pass me the plate! 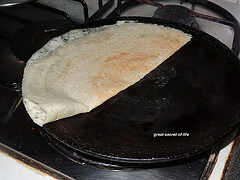 I love dosa for breakfast, actually I can have it anytime of the day :), looks so crispy and tasty.